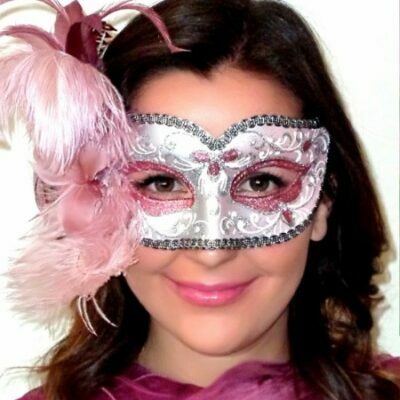 Magnificent Masquerade Mask Made in Venice, Italy – not from China, so you can expect it to contour your face perfectly. 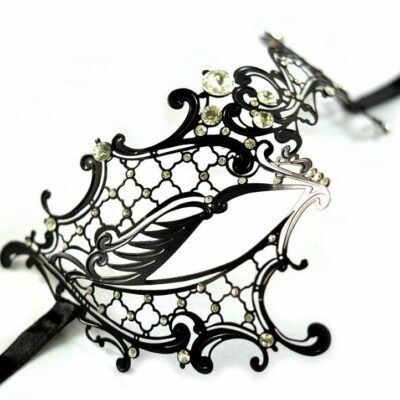 It is slightly flexible as it is made from Black Metal Lace with Clear Swarovski Crystals and Black Feathers. 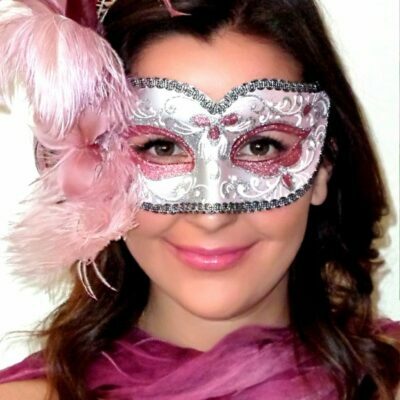 This Mask is an ideal fit on all face (except for the very petite). It is very light and therefore will be comfortable. As it is secured to the face with ribbon ties, you will have a secure fit. 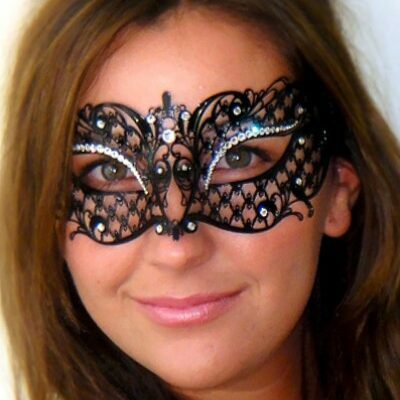 I bought the Adele Masquerade Mask Feather with crystals and bow, was I pleased? Antoinette was fantastic! She was so patient and very helpful with helping me choose the correct mask. I bought another mask earlier which did not sit well on my face and she was so helpful in suggesting one that would work for my ethnic skin tone and face shape. The returns process was so effortless and my money was refunded in full (with shipping cost) very promptly. I am beyond happy with the service and the product. 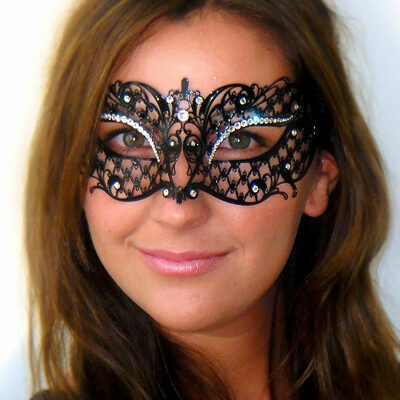 I highly recommend the Adele Masquerade Mask Feather and the Mask Shop.